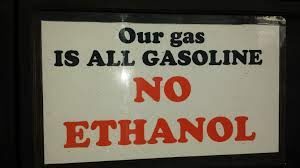 The Oklahoma Corporation Commission’s still looking into this week’s incident involving gasoline contaminated with too much ethanol before it was sold at numerous retail stations in central and southern Oklahoma. But there is no formal investigation of the incident. 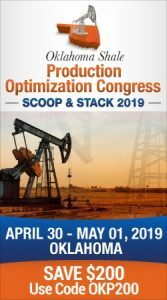 An estimated 10,700 barrels or about 449,400 gallons was mistakenly distributed to service stations by Tulsa-based Magellan Midstream Partners, a firm that blamed the incident on equipment failure at its Oklahoma City distribution center. The OCC said the fuel might contain as much as 30 percent ethanol and had been dispatched from the Magellan facility during the period of Aug. 23 to Aug. 29 from one of six delivery bays. The gasoline was sold at retailers in Cleveland, Oklahoma, Love, McClain, Seminole, Pottawatomie, Kingfisher, Logan, Lincoln, Tulsa and Major counties. The Commission’s Petroleum Storage Tank division fuel inspectors are working to ensure impacted retailers have stopped sale of the fuel in question and that the product is returned to Magellan. But the actual recall of gasoline was initiated by Magellan. Walmart #5323 in OKC; McDonalds Sinclair on NE 23, OKC; Sams #6342, 6922 S. Mingo Rd, Tulsa; Sams #8389 at 5510 SW 5th, OKC; Thundermart #1, 901 NE 36th, OKC; Burns Paving, 105 NE 44, OKC; Broadway DX in Moore; Tinker Air Force Base; Sams #4731, 9000 NW Expy, OKC; Petroleum Traders; Cleveland County; Danielson Oil, 1533 Cradduc Rd, Eta; Danielson Oil, 950 NE 23, OKC; Smilesy, 105 W. Barger, Wayne; Goldsby Store, 434 W. Interstate Drive in Washington; Cromwell General Store in Cromwell; Bunks, 1820 N. Harrison in Shawnee; Cashion Grain and Feed; Shawnee Milling Company in Cashion; Supermart #7, 115 E. Roller Coaster Lane in Guthrie; Lincoln Foodmart at 5431 N. Lincoln Blvd in OKC; Country Boy #1, 20941 SE 29, Harrah; Calypso Cove Marina in Norman; Cimarron Travel Plaza, 750841 S. Hwy 177 in Tryon; OOOPS at 14765 NE 23 in Choctaw and the Ames Coop in Ames.